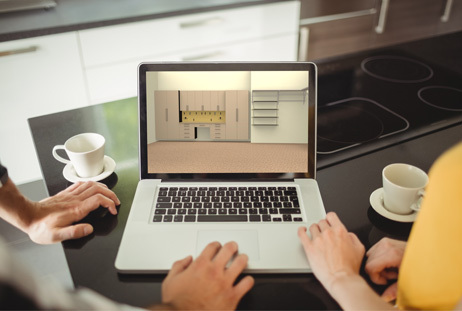 Get a glimpse of what your dream garage remodel could like with our 3D Design Software. We will draw your garage interior and program it into our 3D design software. This gives you the opportunity to see the value of a Professional Design Consultation at no cost or obligation to you. Our software eliminates any guesswork and allows you to be a part of every step of the design process. After we have your garage design in our system, we will email you a detailed 3D drawing of your garage that you will be able to view from all angles. We will also include a detailed quote. If find anything in the design that is not exactly how you want it, we would be more than happy to make the adjustments for you in a timely manner. Once the design is exactly what you have always dreamed of, simply book with us and we will schedule the project and get started on your garage remodel in Charlotte.